Are you missing the inside story? a.k.a "How to give yourself an ulcer"
Why we need to keep an eye out for stories inside our teams and lives. YouTube Channel Recommendation - "Crash Course"
A YouTube Channel to quickly know about a topic. Classroom. All-hands meeting. Training session. The story is the same: no one asks questions. A psychologist has a cool hack to break this. Book Recommendation - "The Power of Moments"
Anyone who wants to leave behind an impression for life should read this. Are you an intrapreneur who’s about to engage with an engineer-exec? Keep these 10 ideas in mind. This is how Ikea is co-creating with its customers and users. How about you? Have you heard of "co-creation with customers"? The idea is to innovate along with your customers and see them as part of the product/service creation process, rather than just as end users. Good to see Ikea do just that with one of their key users: children! Now, Ikea is smartly tapping into this wellspring of ideas for a line of stuffed toys, dubbed Sagoskatt—Swedish for "mythical treasure"—which hits shelves on November 20 and will be available until December 24. To come up with the toy concepts, Ikea invited kids all over the world to submit illustrations of whimsical creatures. From the pool of 52,000 drawings that came in, Ikea then picked 10 to turn into plush toys that are dead ringers for the kids' drawings. The toys retail from $1 to $8, and a portion of the sales will be donated to kids' charities through the Ikea Foundation. Last year, Ikea raised more than $11 million for charity through its inaugural soft toys campaign. What about your Call of Duty? 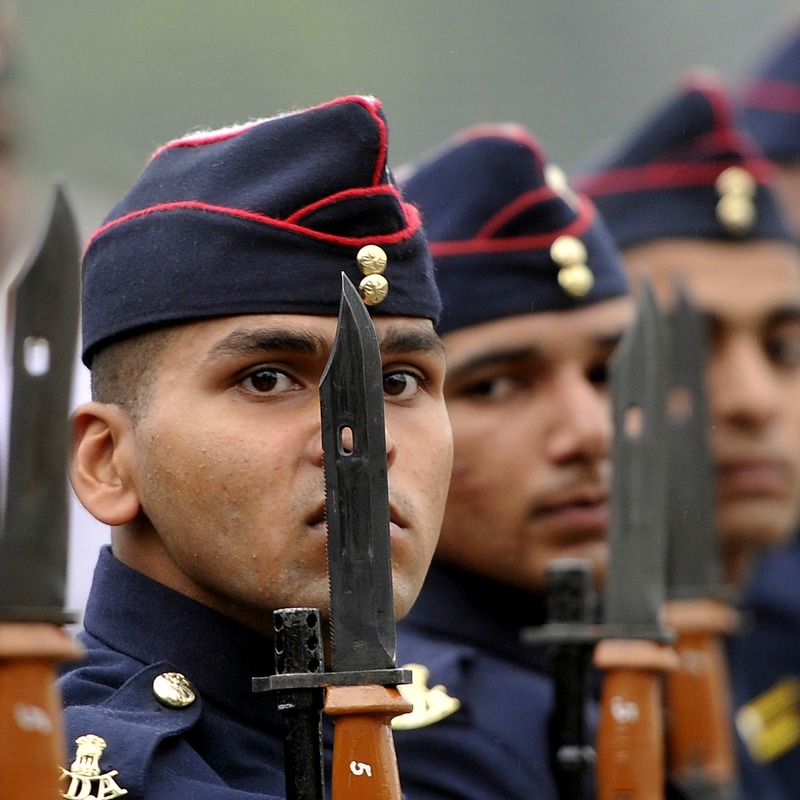 I recently witnessed the Passing Out Parade at the National Defence Academy. It was a long cherished dream of mine to get into NDA and it has always remained one of those regrets in life, though I don’t know if I’d have made it past the interview round or the 3 year course itself. Sitting there, watching the cadets march in unison and remembering some of the stories I had heard from friends in the Army made me reflect upon the efforts that these institutions put into making a Gentleman/Lady and an Officer out of every callow starry-eyed young gun that enters their hallowed precincts. From physical fitness to academic rigour to instilling values to carrying yourself - everything is looked at and the results are there for everyone to see. And yet, when the base level is already so high, I know someone who exceeds the base level of completeness of an Army officer by a yard or two. He has won a gallantry award for showing unparalleled bravery with scant regard for his own life; is one of the best quizzers and quiz hosts that I know; is an expert on everything to do with a neighbouring country; follows a childhood passion of collecting autographs of celebrities to really epic levels; is a serious philatelist; encourages caricaturists and artistes with special talents all over the country and is also a magician! What this means is that there is never a dull moment with him. He will always have a story to tell. Just in case he is with kids who don’t yet appreciate his photos with Nobel winners and Heads of state, he can keep them engaged with simple magic tricks, of course, delivered with the style and panache of a P C Sorcar himself! He can be engage with you at whichever level/age you are. I strongly believe as a member of society, it is one’s responsibility to take every possible step to make the time someone spends with you or the interaction someone has with you to be interesting, enjoyable and valuable for the other person. Of course this is further true if you are an organization. If you exist, you better make the world a more valuable place. With me, I feel it’s usually my knowledge that makes the interaction valuable for the other person. That’s what reading a lot and retaining it helps me with. I’m trying to increase the hobbies/ interests that I follow so that I learn more and am able to share more insights. What makes you interesting? How do you make the time your friends, family, colleagues spend with you more valuable? Are you taking any steps to uplevel the conversation? All good things must come to an end - but they did so with a bang. The Intel & DST - Innovate for Digital India Challenge, which had received an overwhelming response from across the country, ended on a high note earlier this month, with a unique quiz to mark the journey of the participants who had been in ‘accelerate’ mode for the past six months. We at Choose To Thinq conducted a special quiz for the participants and organisers that touched upon experiences, ideas and lessons that teams had gained in the past few months. The idea was to create a memorable experience that goes beyond the tedium of the typical awards night. The Challenge which had asked people across the country to send in ideas that leveraged the use of technology in solving the country’s greatest problems, had been received with tremendous enthusiasm. Top 20 shortlisted ideas and teams were given a 6-month incubation program, with a 3-month ‘accelerator’ phase where mentors and Intel technology helped bring their ideas to life, from getting funding to market support and giving them the means needed to develop a Minimum Viable Product. To conclude the event, a special evening was organised at the rooftop of the Novotel hotel in Pune where Choose To Thinq conducted a specially customised quiz that linked all the experiences these teams had in the past months. Called ‘Rewind’, the quiz became a way of connecting the dots, reliving experiences and ideas encountered during the journey, and also a trigger for conversations. Each answer led to someone elaborating or reminiscing about topics that the questions and answers touched upon. The answer: Intel, who were the title sponsors for the programme. At the end of each question, each team whose idea had been addressed by the question at hand, engaged in a conversation to share their views and relive their experiences in the program. Choose To Thinq first conducted elaborate research to find out more about participants and their ideas, about the organisers and their plans, collecting little anecdotes that happened along the way. As the participating teams came from a wide range of fields, from farming to medicine, the quiz questions too were tailored to cover all such topics, thus giving all teams an insight into the ideas of others. After their turn to answer a question, teams who were working on devices to help the visually impaired, recollected a funny story from their experience to much applause. So it was curtains for this year’s event, but the lessons gained and paths paved will stay lit for a long while ahead! What connects women health workers in India, a Nokia mobile phone, and the House of Greyjoy from the Song of Ice and Fire BOOKS? E-13B and CMC-7 are two font faces whose names you may not have heard of. But you will definitely have checked them out on the bottom of certain types of valuable papers. E-13B has only 14 characters in its set. Where will you see these? Ans: Numbers at the bottom of cheques are written in this font face. A team called Tellmate uses OCR technology, which is also used in reading cheques using such fonts. — By order.” This is a poem by Nissim Ezekiel that sums up what institution? And what did we blank out? Ans: Udhaar (Udhaar- was a team from Bihar with an AADHAR-based solution which allows easy access to credit for shopping at retail outlets and for online transactions). When does an innovator gets an "Insight"? This sketch has the answer. IDEO's Tim Brown sketched this diagram to talk about the emotional states of researchers in the design process, who are trying to make sense of collected material. The graph alternates between feeling +ve and -ve. His point? Insight is often found at the lowest ebb of the feeling, taking you from hope to confidence. As you drown in data, you move from the high of what felt like being useful at first, but as the complexity of it hits you, your optimism decays. That's where you need to stay strong, willing the insights out of hiding. This is also true of most explorations in innovation and life. Do you agree? [CTQ Highlights] Missed our session on 'Switch'? Watch it here.